There are many software development processes or methods are there for a best output in all aspects. Some of them are Water cycle model, RAD model, iteration model. But now a days most of the software companies are following a new software development methodology called Agile . So today we are going to see what actually Agile software development process is ? Agile is a most preferable software development method for a best output from development and client side. 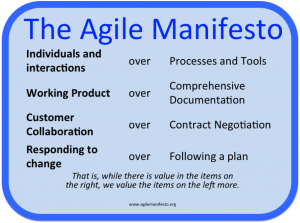 17 software developers published the manifesto for Agile Software Development. Each Agile team has a customer representative like client. By this there will be a face to face and efficient communication, so that team members can clarify some doubts regarding the project in middle of the project. The team which is working called Scrum Team in this Agile software development method. For every scrum team there will be a leader who is known as Scrum Master. In this process a day by day completion of work will be discussed on the next day and discuss on the completion of the work and some loop holes in that (if any). By this there will be a clear idea on how the work is going on. In this time duration is Sprint duration. 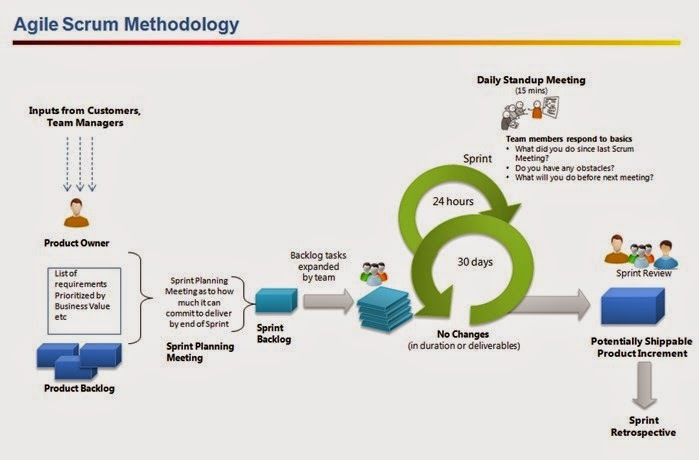 Agile methods are focused on different aspects of the software development life cycle some focus on scrum (managing the software products) and some focus on practices like agile modelling.